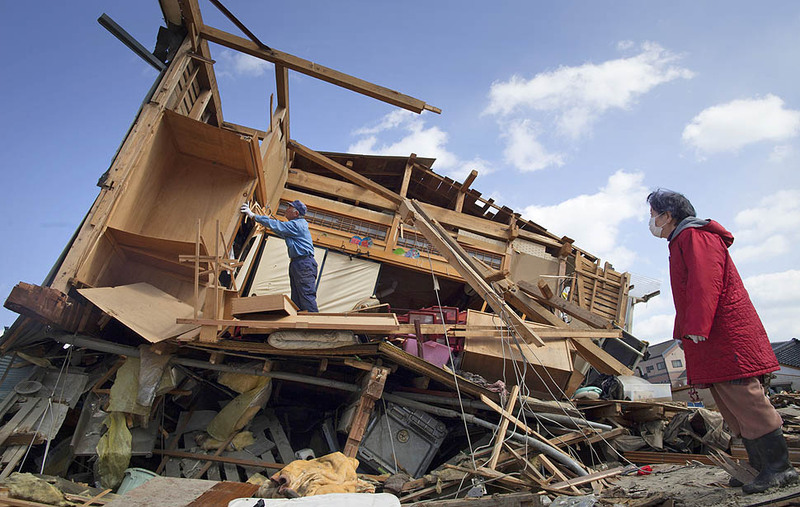 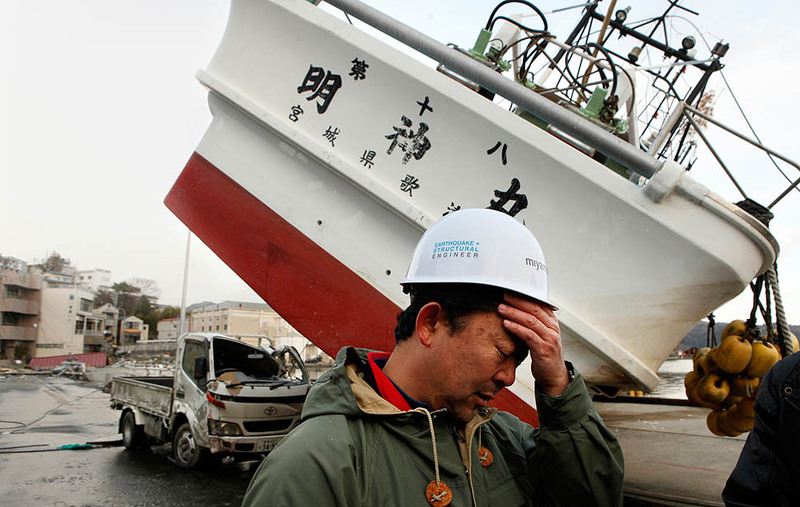 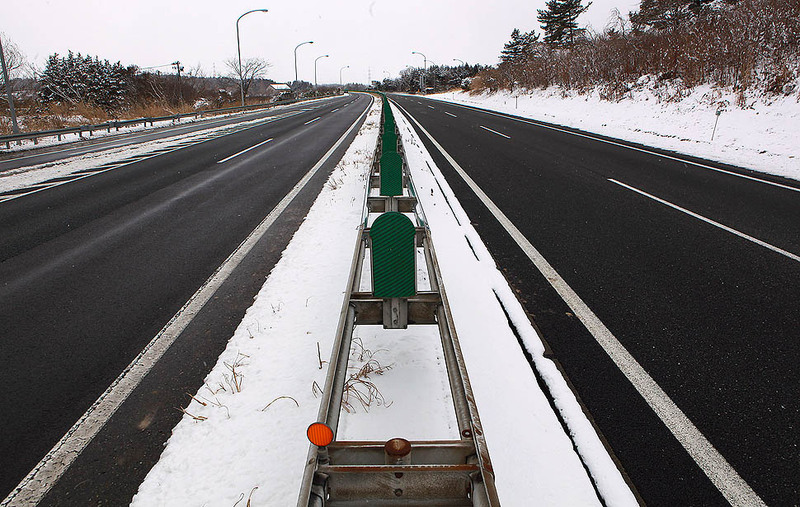 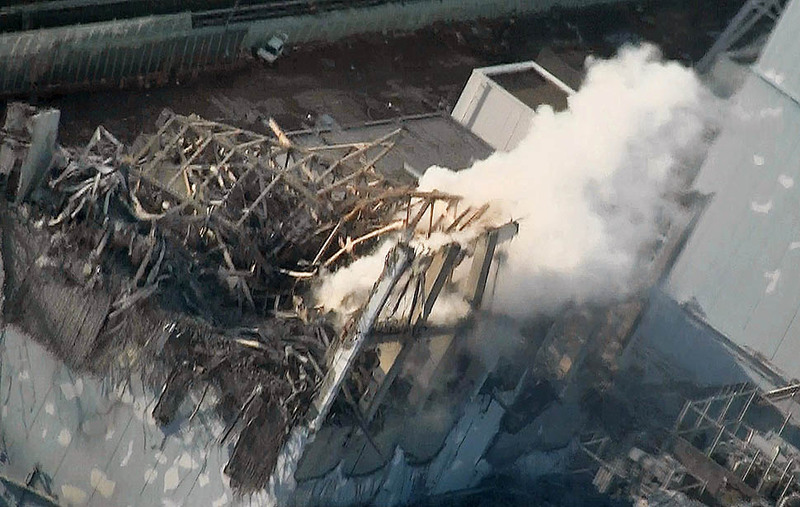 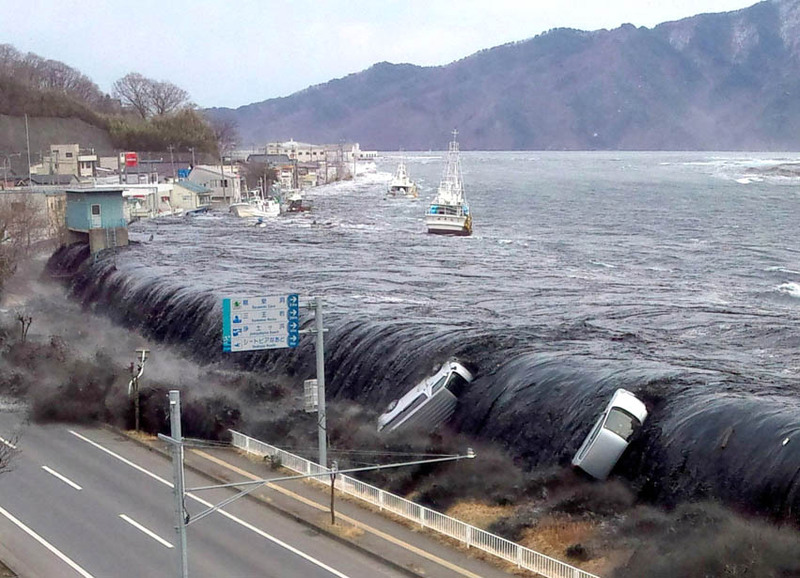 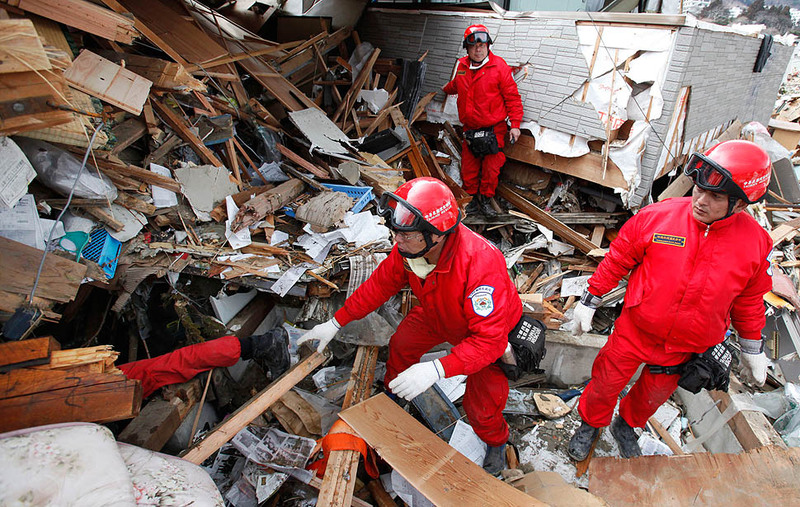 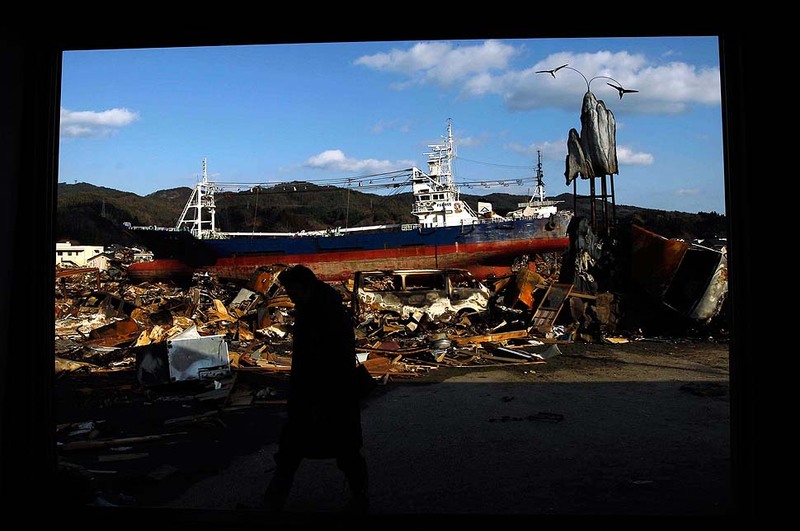 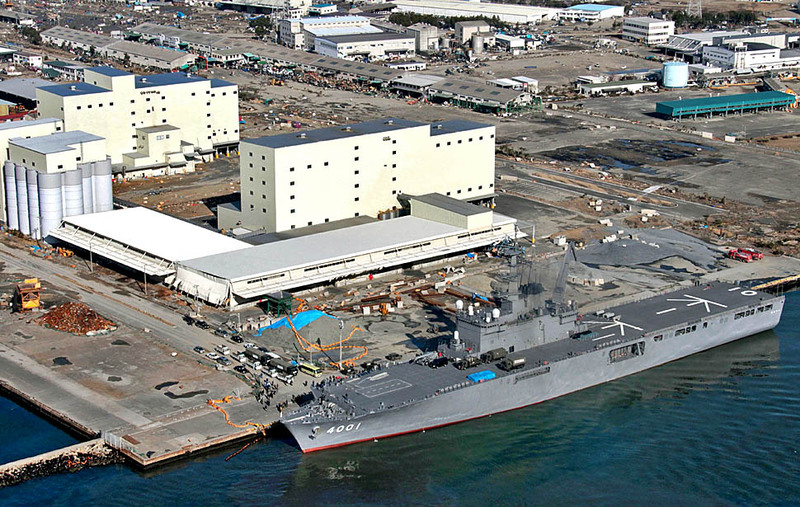 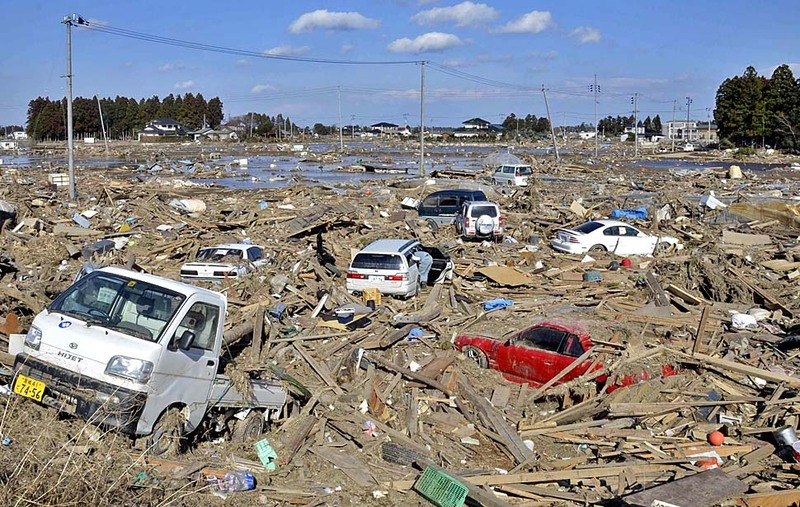 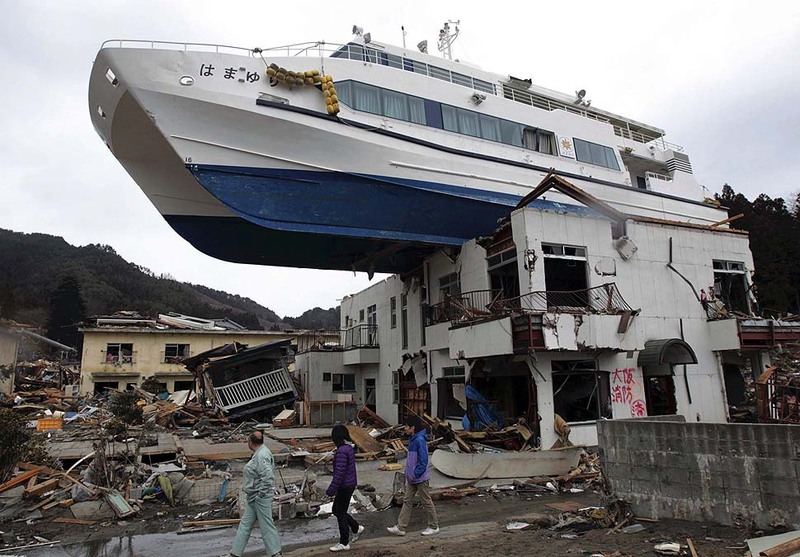 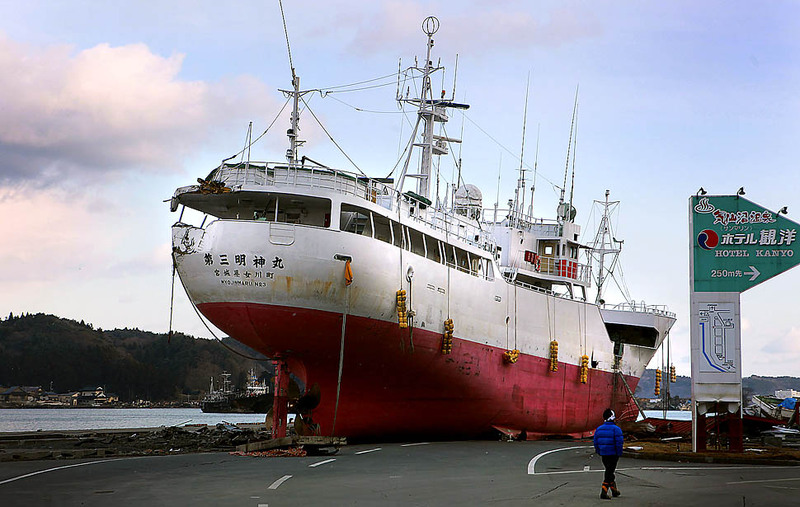 A boat sits atop a building in Otsuchi, Iwate Prefecture, following the devastating March 11 earthquake and tsunami. 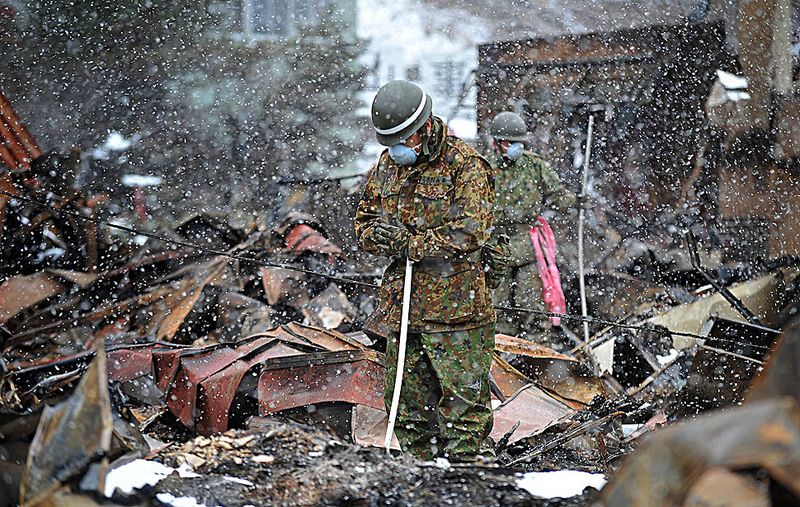 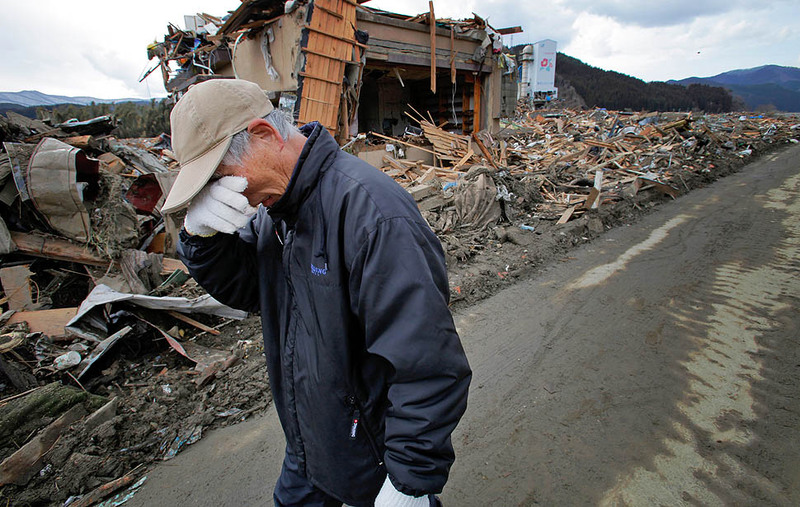 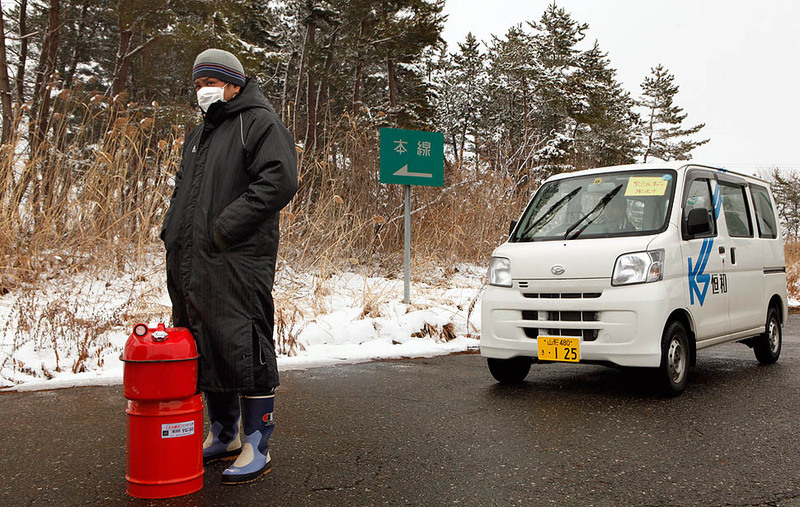 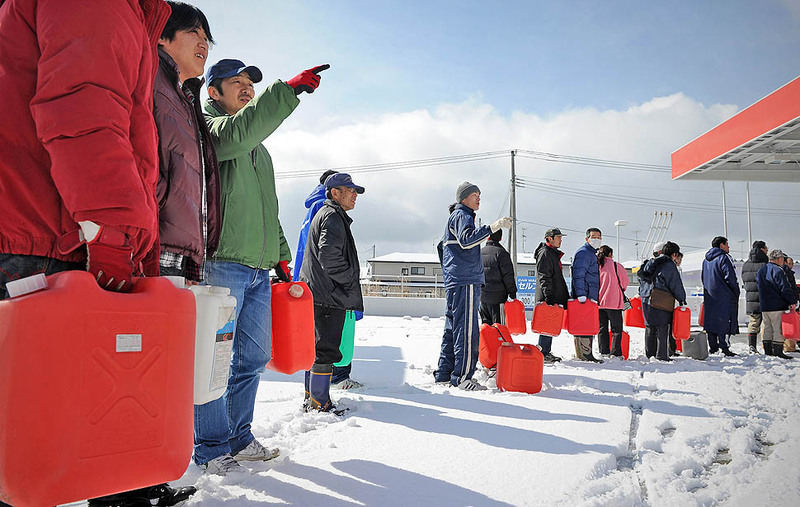 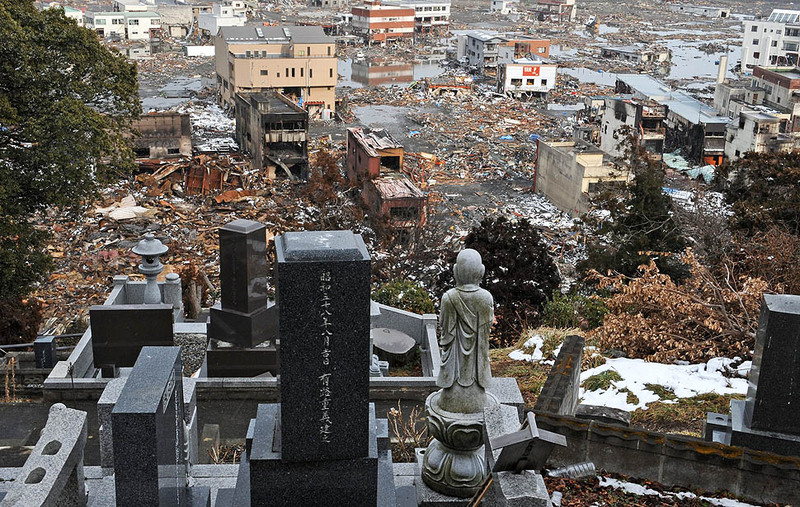 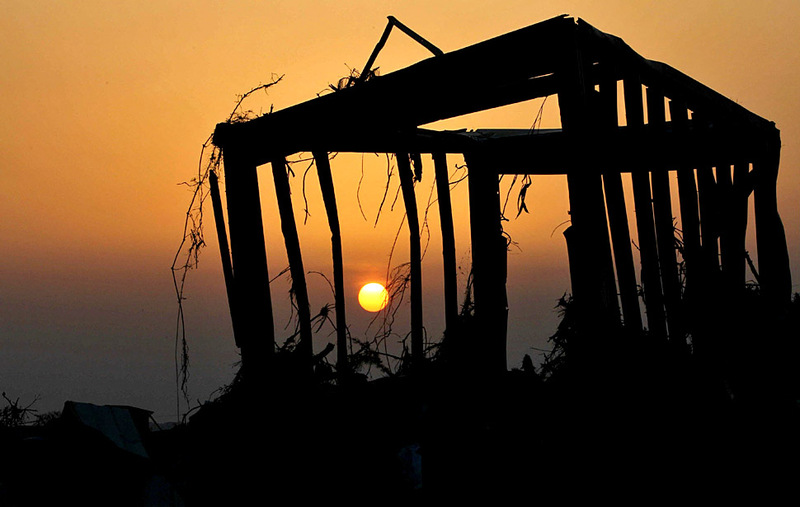 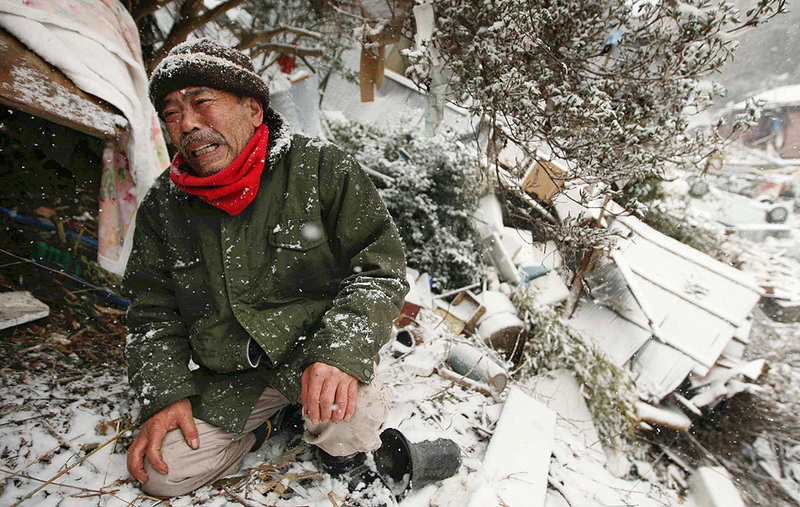 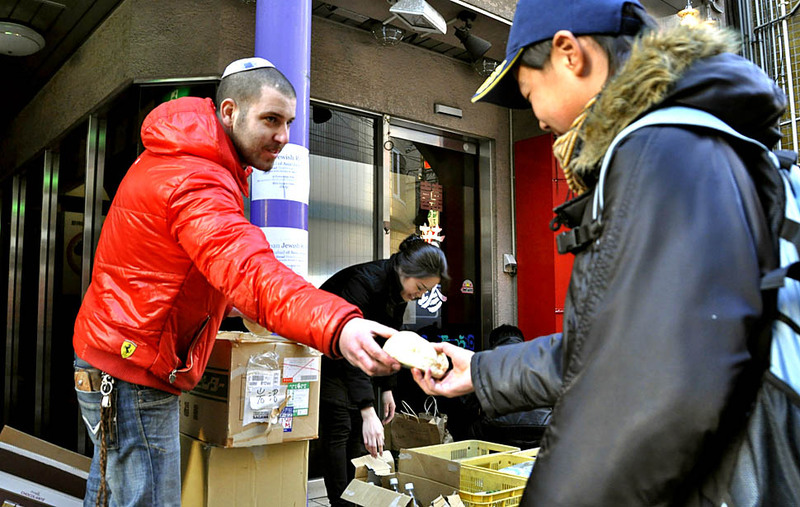 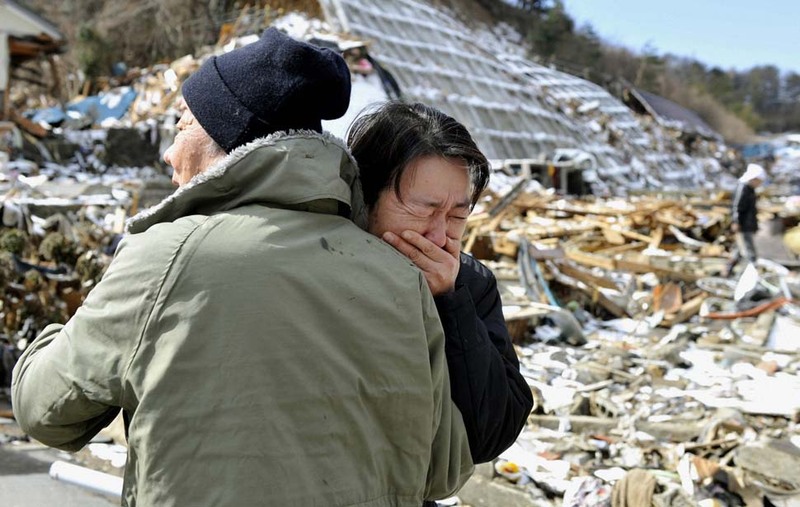 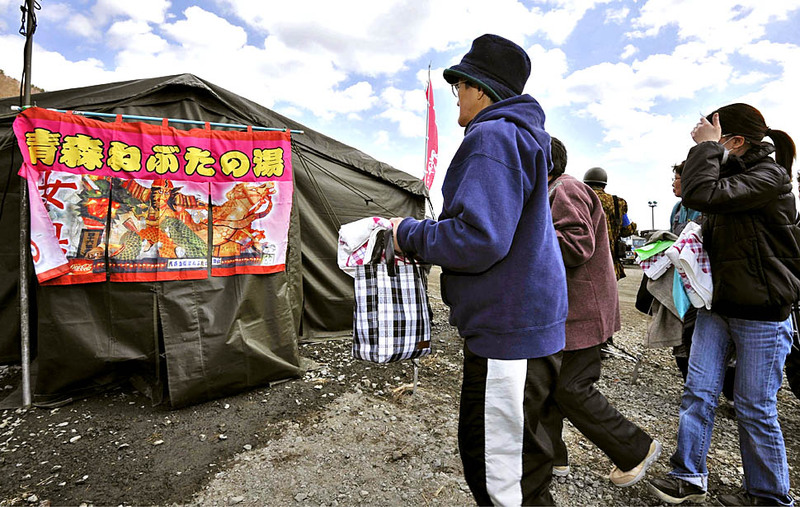 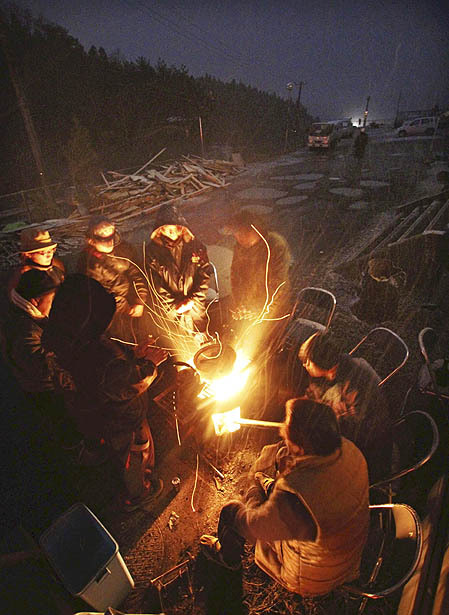 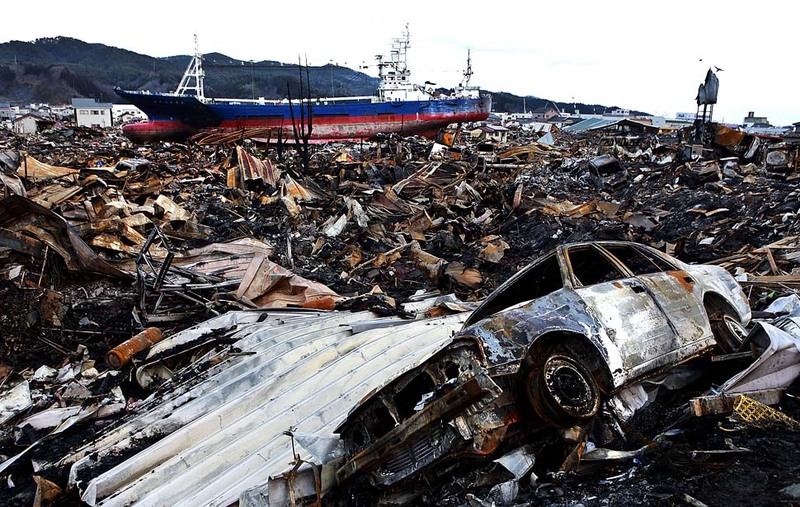 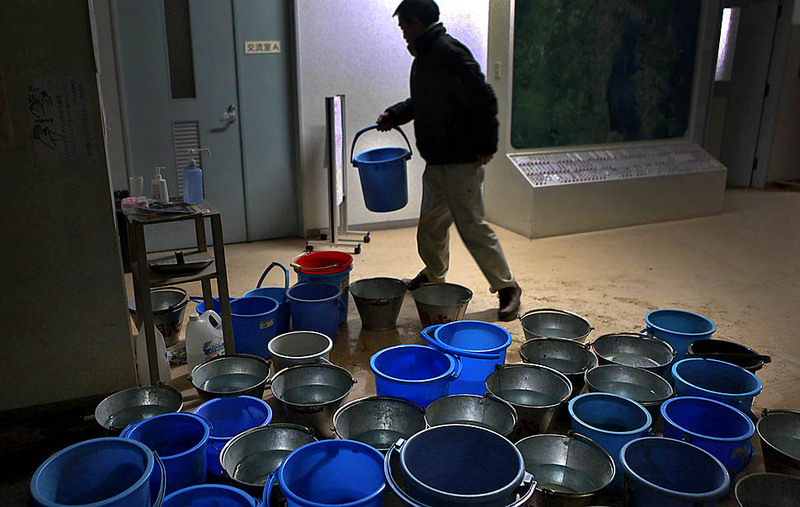 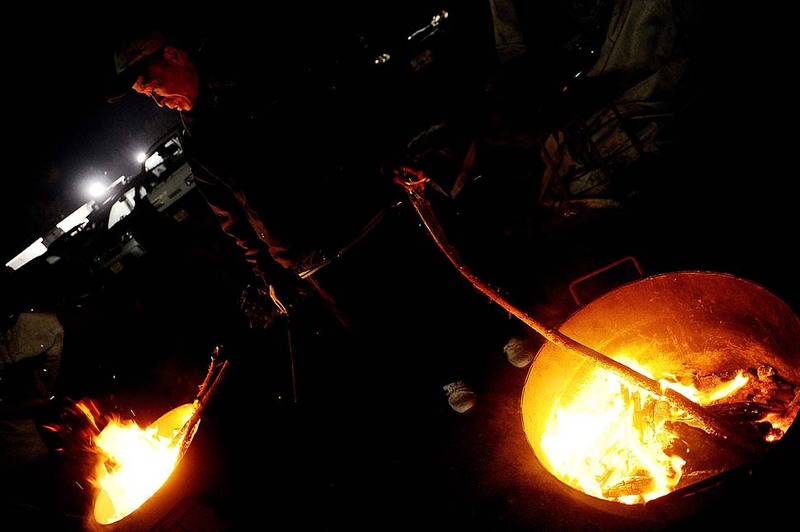 A tsunami survivor stands next to fires outside a relief center in Rikuzentakata, Iwate Prefecture. 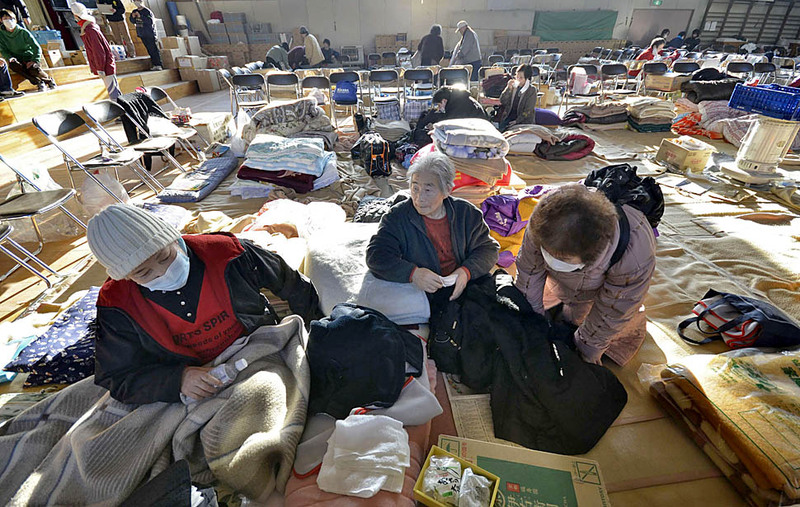 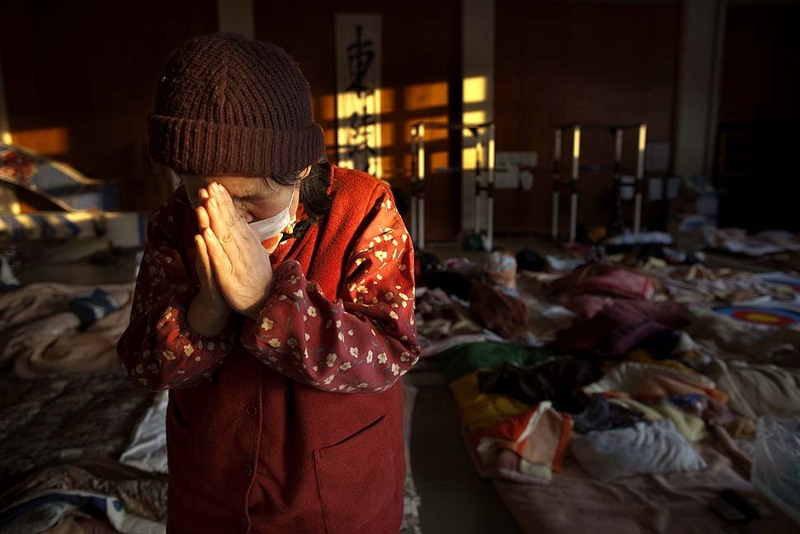 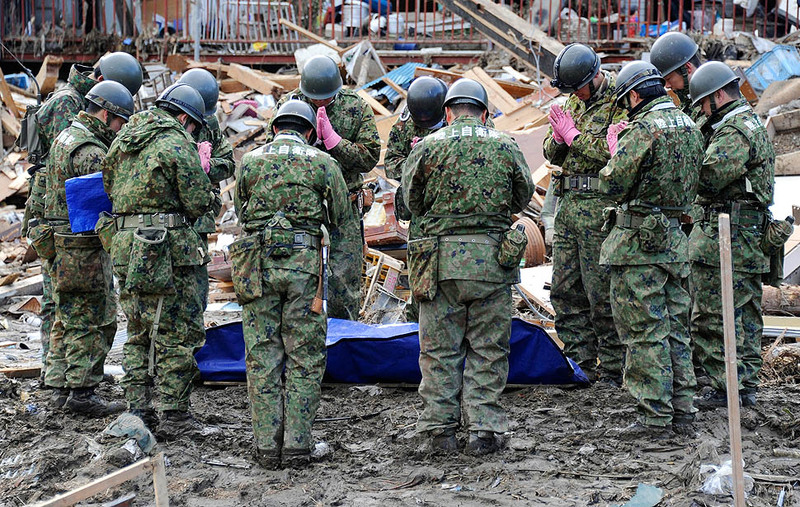 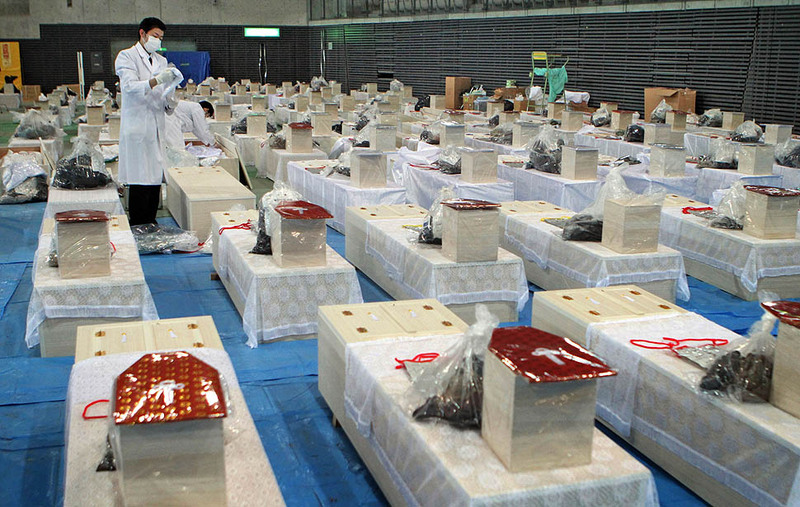 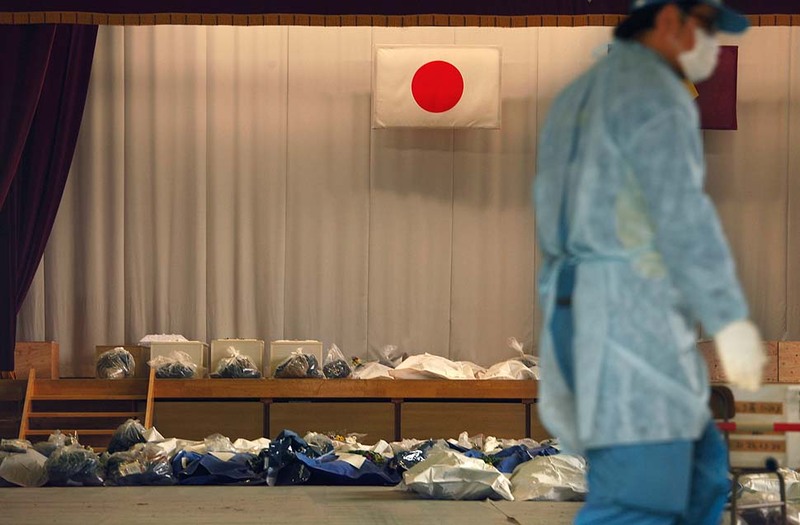 A Japanese flag hangs above the remains of tsunami victims in a temporary morgue set up in the gymnasium of the town's junior high school. 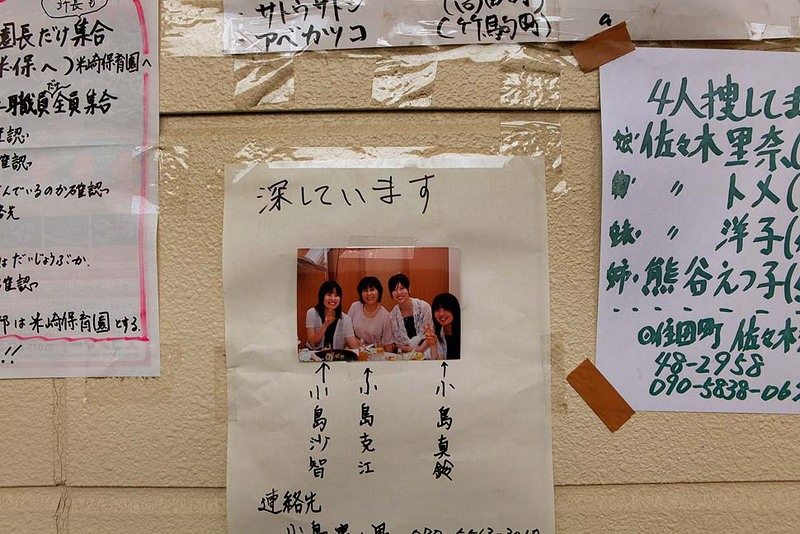 A notice posted at the junior high school points out three missing women. 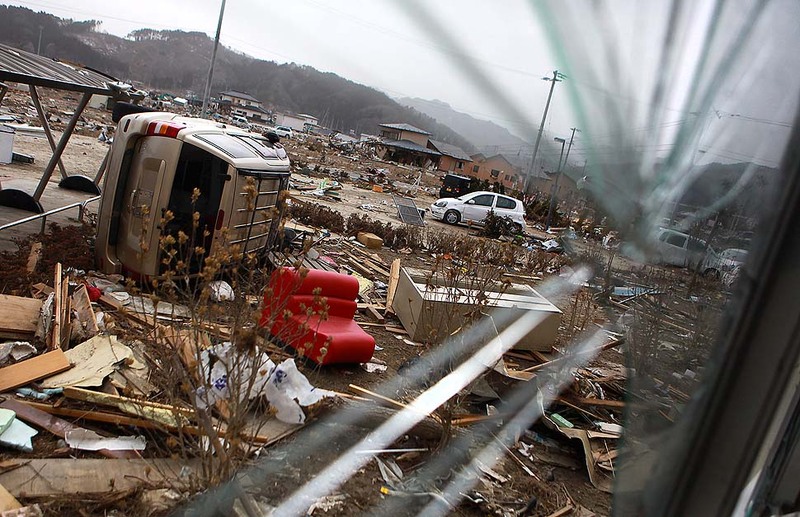 The view through a broken windows at debris outside Yamada Hospital. 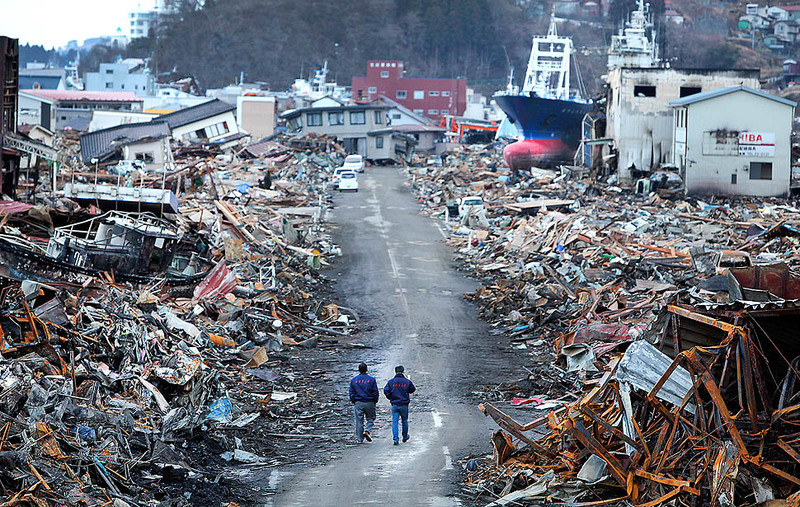 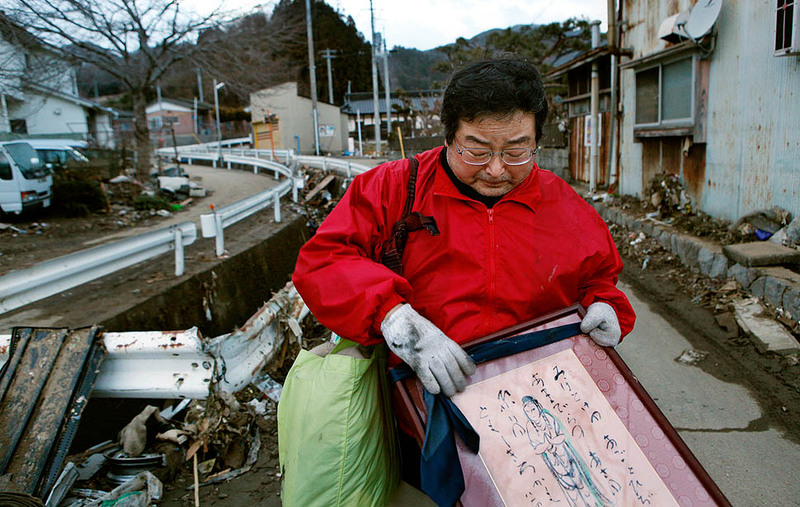 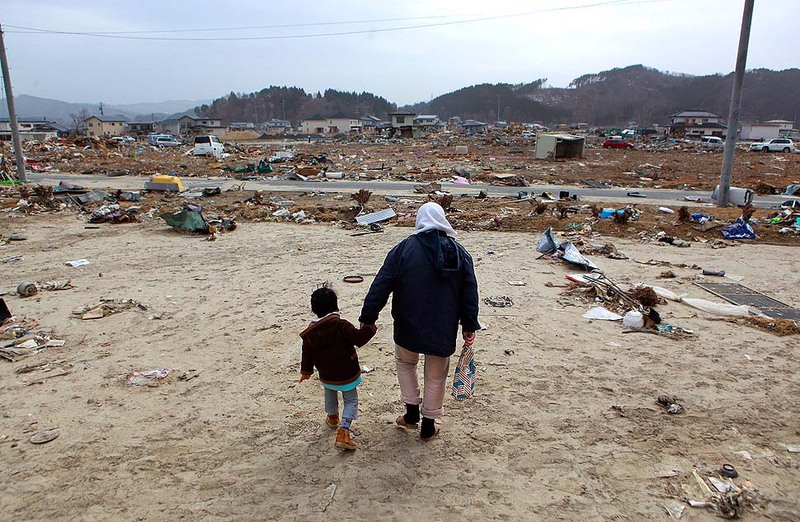 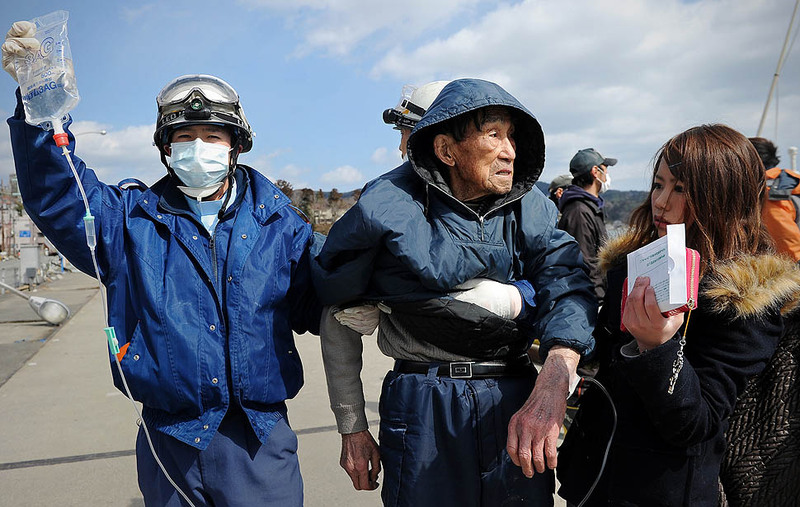 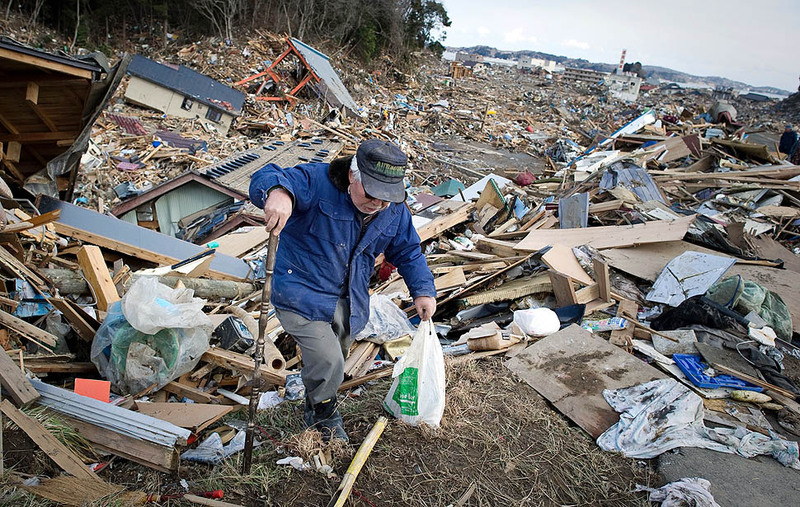 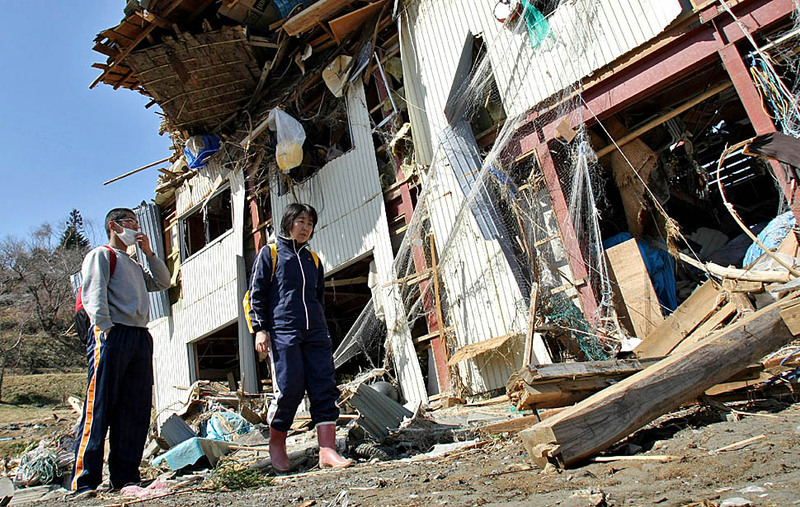 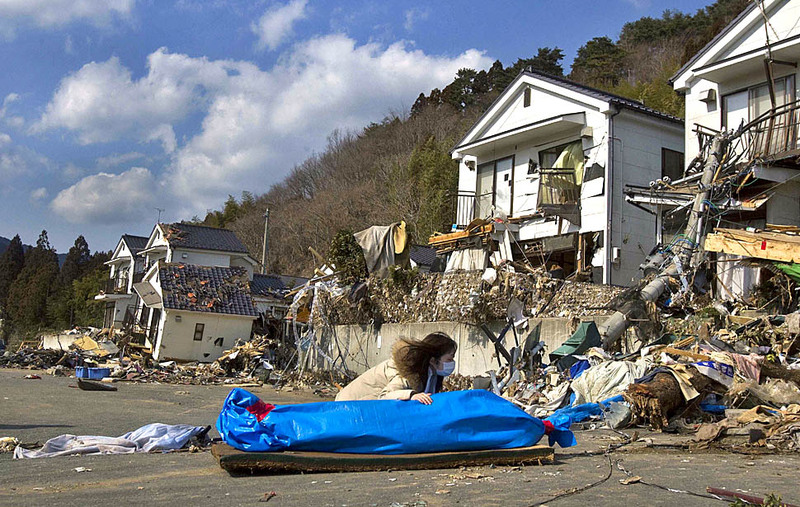 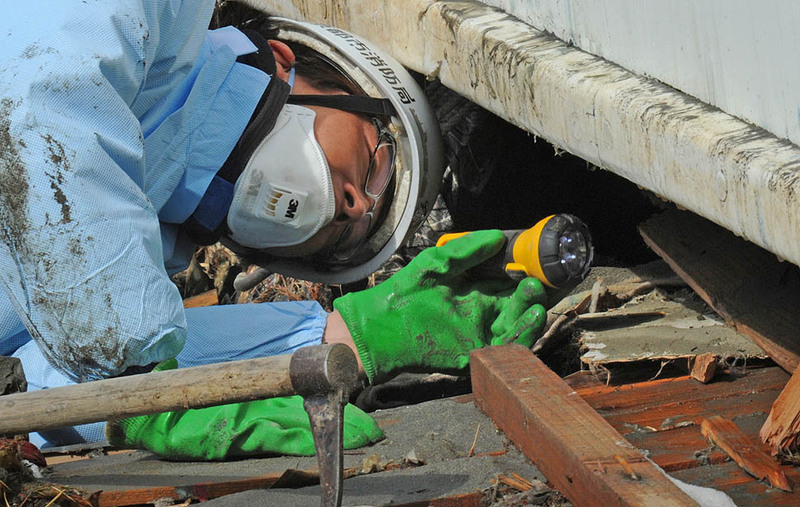 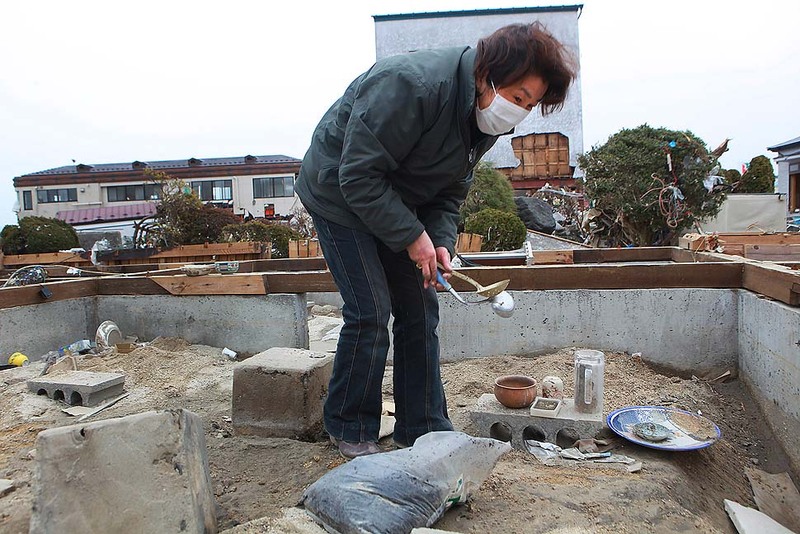 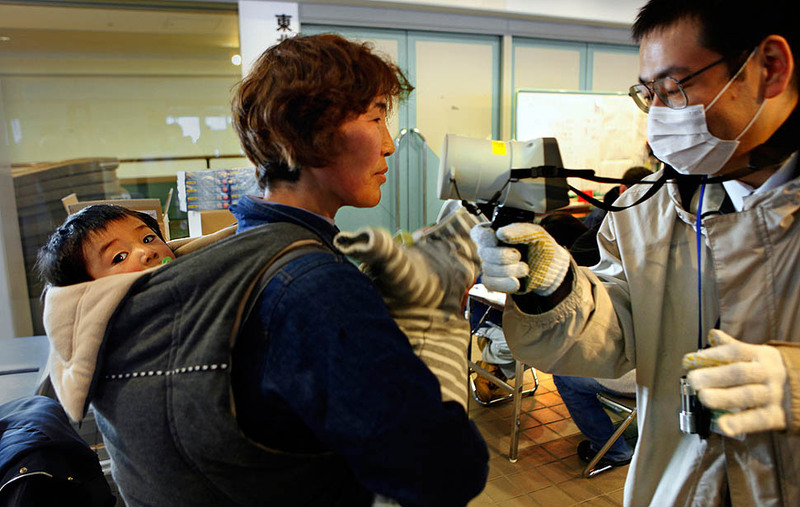 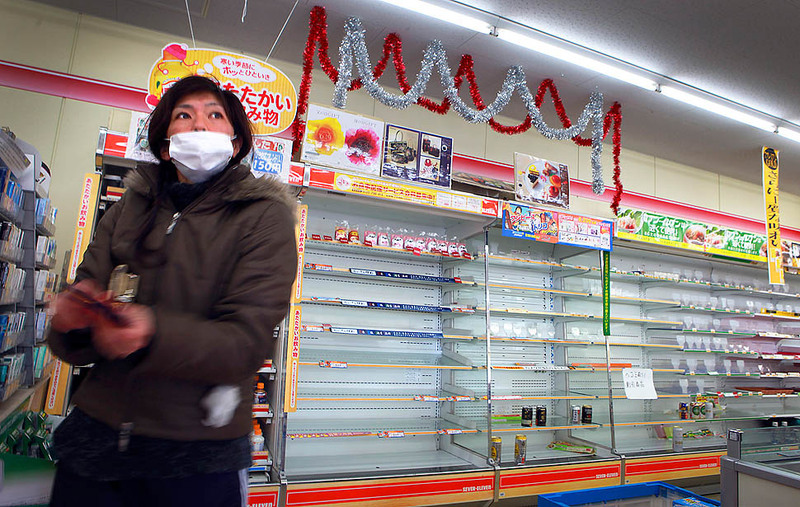 A woman and her son walk through the remains of Yamada, a fishing town destroyed by the earthquake and tsunami.